We chose the quoted lines above, as a motto for a long term project of ecological media art centre. The basic is the place: Kravín (transl. : cow house, according to its original purpose), situated in the village of Hranice u Malče, in the Vysočina region, Czech Republic. Our purpose is the cultural re-destination and creating the space devoted to the development of ecological media culture. The place should become the centre of the village and the whole region, with local as well as international scope of activity. Our team consists of artists and theoreticians, working within the non-profit organization yo-yo (based in Prague) and okno collective (based in Brussels). In the first phase we open the discussion about the nature of ecological media art, its definitions, paradoxes, but also the possibilities it promises as a motor of change within existing art and culture. We want to involve in the discussion, apart from artists, all creative thinkers, sociologists, historians, ethnographers, anthropologists, philosophers, engineers, architects and other experimental scientists. We want to create a basic program with proposals for realizations that will guide us the coming years. This will allow us together with the invited artists and other creative people, to realize a series of projects. These should concern a new kind of definition of art within ecological terms. Rather than supporting individual works, we find more interesting to develop collective projects, constantly questioning the established terms and procedures. We want to create a place for research and experimenting, with innovative approach to culture, arts and sciences. A place for cooperation in the rural space, related to emerging contemporary context, and within the international network of activities. We hope to be crossing the borders (the name of the village – Hranice – means the border) of the existing and the imagined. 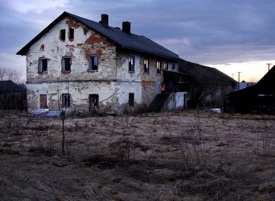 The former cow house is located at the verge of a little village Hranice (administered from the nearby larger village Maleč), at the slopes of the Iron Mountains (Železné hory), in protected natural area. The farmstead of Hranice (which included also the surrounding building) was administered by a manor farm estate Maleč (the Baroque castle was bought in 1862 by the politician and writer František Ladislav Rieger, whose descendants are now reconstructing it), as well as a circle of several similar farmsteads (Maleč, Víska, Hranice, Předboř, Lány, Modletín, Rušínov), forests, fields, meadows. The building intended for a residency center, consists of two parts – living building and adjacent cow house. In the ground floor of the living area used to be an office, with the entry from the head of the building, the corridor leading to the two rooms and the flat of coachman (with the hall). In the cross corridor used to be a bakery. From the ground floor the staircase went to the cellar and to laundry rooms (one of them used before a a little cheese factory). The first floor contained the administrator's flat with the kitchen (former room – salon), leading to two rooms; the three guest rooms on the other side of the corridor. From the first floor there is the staircase to the attic. The disposition of the rooms as well as their vaulted ceilings is preserved. The main part of cow house complex is formed by a vaulted cow barn with two rows of columns, adjacent former stable for heifers and cutting workshop. Above it there is an attic, with rows of little windows on sides. A barn (later burnt out) was also a part of the complex, with henhouse and woodshed next to it. Opposite, a caretaker's house and sheepfold were located, which was preserved till today. On the fourth side the grange, a one floor brick building, comprised the complex. A shed used to stand in the middle of the courtyard. 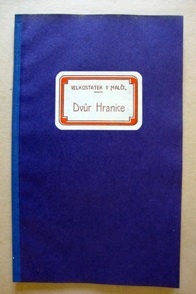 Information from: Velkostatek Maleč – Inventary (State Archive in Zámrsk), Dr. Erik Bouza, Lada Koupilová, 1960 and Hranice a Velkostatek v Malči, State in March 5, 1937, written by Ing. Josef Kruml April 29, 1937. 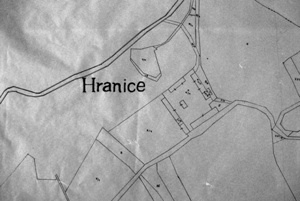 Plan from the Zámrsk archive – materials about Maleč farm estate. In the first phase, a basic reconstruction of the living spaces and cow barn, as well as the adaptations of the adjacent garden. We would like to re-create the area, registered as the agricultural in the land register, and used in the past for industrial production, into a space for culture. The Kravín residents should in their projects reflect on the given space, creating temporary site-specific works, and can also involve the local people from the surrounding area in their activities in various ways. Behind all the projects should be the questions: What is the role of artist and art-researcher nowadays? How can they participate in the life of local communities? How can they reflect on the new approaches and transformations of the environment, local histories and stories, find an alternative and future uses for long time abandoned buildings, that make sense? We would like to invite artists of all disciplines to work with various tools and media (electronics, video, sound performance, text, sculpture...), try multiplicity of approaches to create long-term cultural projects. We prefer the artists and researchers that are used to work in collaboration with others, using technologies depending on the environment. Because of the very new of technologies and approaches, we expect experimental outcomes and a will to connect to the existing, the surrounding, and the larger networks. The first year residents will play a role in the development of the residency spaces and working out the possible uses for the rooms in the house as well as garden. The length of the stay of the residents will be discussed individually, and according to the planned activities. But we target 2 types: short residencies (up to 3 weeks), as well as long residencies (1-3 months). 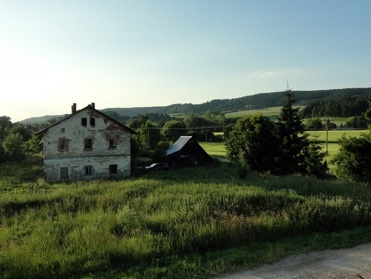 There are several inspiring residency projects in the Czech Republic, but so far rather missing are those, offering a longer-time stays in “natural” environment, outside of the main art centres, wheere artists could work in a direct contact with local community, in the fresh air. The set up of international projects that suit the common endeavors and goals is an essential future organ for longer-term collaboration in that sense. To develop and manage this better, a trans-regional forum/consortium "Kravín na Hranici" with several organizations, supporters and participants is in the make. Its function will be of an advisory board, with member changing. The main building – used to be living building for administrators and workers of the Hranice farm – will combine private and public use: in the ground floor a common kitchen, guest/residents rooms, bathroom and toilets. Bakery. In the first floor – rooms of the organizers (Los Kravaři), kitchen, library, cabinet (of curiosities), bathroom and toilet. Attic – accommodation, studio. Former cow stables – place for public activities: exhibitions, discussions, screenings, concerts, workshops... Attic: accommodation, studios. Within the time span of 3-5 years, we plan to have up to 7 residency places available. Garden – ecological media garden: fruit trees, bushes (forgotten species typical for this area), vegetables. But also the space for ecological-art experimenting. In the area: a beehive. New use for the bakery. Growing the vegetables, keep hen, breed sheep. Attempting for at least partial sustainability. Heating and warm water should be done in the most ecological way, with the use of sustainable energy sources (low emissions heating biomass source, solar systems...). We want to develop the basics of ecological media art together with regional and international artists.